Having previously outlined a set of proposals that could improve disabled people’s opportunities for employment and pay, Liz Sayce highlights the need for campaigning agendas that are inclusive, recognise difference and re-calibrate citizenship responsibilities. From the 1980s to the 2000s disabled people campaigned for rights to participate – calling for rights to independent living, freedom from institutions, equality in education, employment and accessibility – thereby standing on its head the older idea of disabled people being passive recipients of ‘care’. Support was to be a springboard for participation – not a safety net. Achievements included the first ever disability civil rights law in 1995 – before which it was entirely legal to refuse someone a job or service on grounds of disability – and direct payments legislation that gave disabled people control to organise support around lives they wanted to lead. Progressive expansion of rights followed, covering everything from education to positive public sector duties. From the late 2000s, as budget constraints and increased conditionality for social security took hold, boundaries between the deserving and undeserving were re-drawn. Roulstone (2015) argues Government ‘shrunk’ the category of disabled people as it aimed to focus resources on those with the ‘greatest needs’: he cites Ministerial expectations that in reassessing 560,000 claimants for PIP, 160,000 would get a reduced award and 170,000 no award. It was also used to oppose cuts – indeed the parties who most commonly talked of disability and vulnerability together after 2010 were Labour and the SNP. Meanwhile use of the term ‘rights’ in conjunction with disability declined. This presented a dilemma for disabled people and campaigners: to emphasise vulnerability, in order to establish oneself as deserving (but back to being in need of ‘care’); or to push for full participation and risk being seen as not ‘really’ disabled. It seemed like a choice between being vulnerable or undeserving – which felt like no choice at all. From the 2010s, campaigns largely took the form of protests against tightened criteria for social security and social care. Protests and accompanying legal interventions reversed some developments: for example tightened Personal Independence Payment regulations for people experiencing overwhelming psychological distress were found ‘blatantly discriminatory’ by the High Court in 2017. There have been fewer examples of shaping positive future agendas. But since around 2015 Baroness Campbell’s work to develop a new basis for domestic rights to independent living, the work of Social Care Future to re-frame the social care debate and build support for change, and Disability Rights UK’s work with parliamentarians to support an inclusive economy seem to signal a revival of campaigns focused on ‘what we do want’, framed in terms of full participation in society. These developments matter because successful campaigns tend to be framed not by reference only to what we are not (I am not a scrounger) or do not want (cuts) – but in terms of how things could be better. They convey a positive vision and a message that we can attain it – and then break tasks down into achievable chunks. Matthew Bolton documents how the living wage campaign identified targets, built relationships with unexpected allies (‘bishops, business and Boris’) and secured small changes from which others flowed, leading to 150,000 people receiving the living wage, with a net benefit of £200 million. Creating positive, targeted disability agendas could help recalibrate respective citizenship responsibilities of government, business and disabled people and offer disabled people substantive opportunities to participate in society. But the dilemma about whether to emphasise vulnerability or push for full participation spilled over into differences of view on campaigns amongst Disabled People’s Organisations. Some of us continued to push for rights to inclusive work; others said we risked reinforcing the pressure to work exerted by government’s conditionality regime. The right to work had come to be seen as the duty to work. Meanwhile newer social security campaigners framed messages in terms of being too sick to work – and were in turn challenged for playing in to low expectations, throwing the baby of equality out with the bathwater of restricted benefits, re-introducing the ‘victim’ narrative. In part this debate was fuelled by difference of experience: someone with a stable spinal injury who can work as long as physical adjustments are in place is in a very different position to someone with an energy-limiting condition who can work only sporadically and unpredictably. There was little face to face debate to resolve differences and devise strong messages to promote a combination of rights to work and to social protection, in line with both the UN Convention on the Rights of Persons with Disabilities and Article 23 of the original 1948 UN Declaration on Human Rights. The disability movement of the 1980s and 90s was largely led by people with mobility or sensory impairments. In the 2000s, bridges were built with people living with mental health conditions or learning disabilities: for instance, at the Disability Rights Commission (DRC) we promoted lists of workplace adjustments that always started with the unexpected (like being able to phone a support worker to talk through a mental health employment-related issue) and only ended with the expected references to ramps or accessible toilets. Conscious that (at the time) only 48% of ‘disabled people’ as defined by disability rights law considered themselves to be disabled people, the DRC undertook research with those who did not so identify – and then shaped communications to reach out to people who viewed themselves as living with HIV, or mental health service users, or simply having a health condition. Despite attempts at brokering relationships across the diversity of disability experience, participants in round-tables for this project have commented extensively on the fragmented – and thus weakened – nature of disabled people’s influencing work. Notably, the interests of people with energy-limiting conditions were not successfully included in wider disability rights work. They were at the forefront of campaigns against social security cuts that used the concept of being ‘sick’. 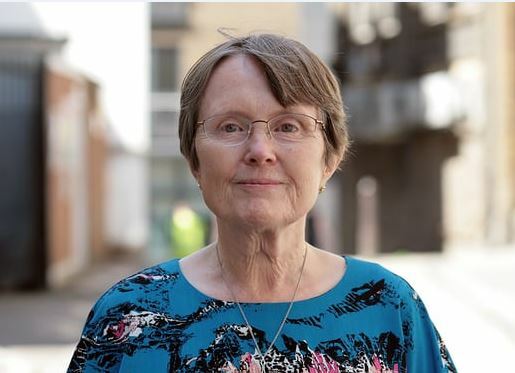 Since 2017 Catherine Hale has explored the history of this lack of unity and is developing opportunities to connect the thinking of people with chronic illness with that of the disabled people’s movement. Proposals to improve the substantive employment opportunities of disabled people need to take account of people’s very different experiences of impairment, ill-health – and society’s response to them. For instance, if someone can work a few hours each week, from their bed, there may be some roles that could accommodate this, through allocating specific tasks to that person, or creating collaborations. But as work is currently organised, it is often simply too challenging for people to work when they have to ration their energy with immense precision. Real security through social security is essential. The current project aims to bring people together across the spectrum of experiences and develop propositions that appreciate and respect those differences. ‘Disabled people’ – 1 in 5 of the UK population – are far from homogeneous. Often people identify with others with similar experience and meet other ‘disabled people’ through groups catering for specific experiences, from mental health conditions to MS. Whilst people come together occasionally for campaigns that affect people whatever their impairment or condition, unity is not the default position. The identity of ‘disabled people’, meaning ‘disabled by society’ was hard fought for, but identification is decreasing, with younger ‘disabled people’ especially likely to choose other ways to self-define. Firstly, more opportunities to come together across difference – which could be helped by participative conferences and workshops, which require modest investment in the Disabled People’s Organisations best placed to lead them. Secondly, re-consideration of the language of identification. Many people do not identify as ‘disabled people’ because they have chosen another identity – like mental health service user or being Deaf. An umbrella term that people felt respected and included them might support greater unity. Once there was a ‘gay liberation’ movement, then a lesbian and gay movement, then we talked of LGB, LGBT and more recently LGBTQI+. The trans or queer person can feel themselves included. The term enables people to come together in solidarity without needing to subsume their chosen identity in a single identity that they did not choose. Similar ‘umbrella’ disability language could both unite people for common campaigns and recognise different identities. ‘Disabled people’ would remain a central, but not the only, identification. This could help unite a fragmented set of groups and organisations and raise the game in terms of influencing. It could also help generate disability agendas that are genuinely inclusive – and thus likely to be more effective. It could enable employers and government more easily to understand the full picture of disability. The agendas could then be more compelling and their results more far-reaching. Comments are welcome on this blog. A full report of this work will be published in the Autumn. 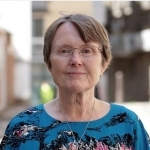 * Liz Sayce is a Joseph Rowntree Research Fellow in Practice at the LSE International Inequalities Institute and former Chief Executive of Disability Rights UK. – First, a general increase in its use in line with the very different views on disability that have arisen in response to Government policy since 2010, as outlined in your blog. – Second, I’ve been aware for some time that what we used to call “International Day of Disabled People” has been recast as the “International Day for People with Disabilities”. – Third, the “people with disabilities” moniker is now almost always used in children’s social care and in specialist schools and colleges (about which my views differ somewhat from many in the disabled people’s movement) – something I’ve become aware of through my support work and my son’s job. When working with children’s social care I’ve been struck by the vehemence with which they use the term “children with disabilities”, and similar variants, and their outspoken rejection of the term “disabled children”. What concerns me, in brief, is the extent to which this has the potential to weaken society’s understanding and acceptance of the social model as these young people become adults. I see a need for a total refreshing of our understanding and portrayal of the social model, including updating and expanding it to include all disabled people, regardless of the language they choose. Given the almost wholesale destruction of Government policies that support a social model approach, the need for an inclusive umbrella approach, which validates the experience of disabled people with all kinds of impairment, is pressing. Such a refresh needs to address head-on the challenges you explain and the strong “people first” push in relation to acceptable language that I’ve outlined here. I’d love to be involved in some of the thinking on this. The meaning, benefits and limitations of the social model were a major focus for me when I was studying at Leeds as recently as 2011, but in the few years since then there has been an almost total rejection of the social model in many spheres, with concomitant changes to language. We may need to compromise, rethink and recast, but we must do something if we’re to avoid a damaging regression in social policy in the years to come.